Come, let’s get into the real & the virtual world of Pokemon with Pokemon GO for iPhone and Android. With GO Pokemon, a new world of yours! Pokemon GO which is built on the platform of real world gaming Niantic and uses real locations to encourage the users to discover Pokemon in their respective areas. Pokemon GO will allow players to find and catch more than 100 Pokemon as they explore their surroundings. The series of Pokemon video games used geographic locations as inspiration environments delivered to players. Now it’s the real world that will be your environment! Go outside to find and catch wild Pokemon. Explore the cities and the villages around you and around the world to capture as many Pokemon as possible. You’ll know you’re near a Pokemon for your smartphone will vibrate. After meeting a Pokemon, aim it with the touch screen of your smartphone and run a PokeBall to catch it. Be careful when you try to catch it because it can get away! Also look for PokeStops located near some of the places such as public artwork and historical monuments, where you can get PokeBalls and other objects. When you start playing Pokemon GO, you can customize the look of your trainer by changing his clothes or accessories. This character with your image will appear on the screen when you move the map, and will also be on your profile page. In addition, other players will see when they visit the Arena one you control. In Pokemon GO, you will increase level as a trainer, you can catch at higher levels of the most powerful Pokemon to complete your Pokedex. You will also have access to more powerful items, such as Super Balls to give you a better chance of catching Pokemon. 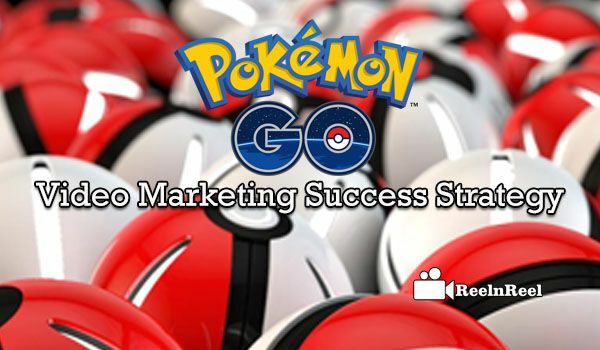 Continue to explore and meet with Pokemon to improve your level! There are other ways to add to your list Pokemon: And as you explore the surroundings, you can find Pokemon eggs around PokeStops, which will hatch when you have traveled a certain distance. When they hatch, you can find Pokemon you’ve never seen before! Some wild Pokemon will appear only in some places near you or around the world. For example, some water-type Pokemon can only appear near lakes and oceans. If you are away from home, pay attention to find rare Pokemon! If you catch the same species of Pokemon a sufficient number of times, you will have the possibility to change one of them. This is useful for catching Pokemon you have trouble finding in nature. For example, if more no.of Poliwag is in your place and that Poliwhirl is hard to find, catch many Poliwag to have the opportunity to have one that evolves into Poliwhirl. At some point in the game, you will be asked to join a team of three. After joining a team, you will have the possibility to assign the Pokemon you’ve caught in Arenas free or at a place where a team member has placed one of his Pokemon. Just as PokéStops, the Arena are physical locations in the real world. As each player can place only one Pokemon in a particular arena, you will work in teams to build a strong defense. If Arena is already associated with another team, you can face by using your Pokemon. With the Pokemon you’ve caught, launch yourself in battles against Pokemon who defend it to take control! The fights are challenging but fun! Use both attacks your Pokemon to fight Pokemon in charge of the defense. You can also dodge attacks from the latter by sliding your finger left or right. If your Pokemon wins the fight, the Luxury Arena is reduced. If the Luxury Arena is reduced to zero, the team that defends loses control. Another player can then take control by assigning a Pokemon to protect it. When your team has control of an Arena, you can increase its prestige and its level by training your Pokemon with Pokemon who defend it. Gradually, as the level of the arena increases, your team can assign more Pokemon to defend. you can also join other friends to fight together in Arena opponent to overcome quickly the most powerful Arena. Many challenges exist and highlight the different categories, such as catching Pokemon and explore. By completing these challenges, you’ll earn medals that appear in your gamer profile. Do your best to unlock as many medals as possible! Pokemon GO will be available on the App Store and Google Play. Pokemon GO is a free game and packed full of fun things to do as well as Pokemon to discover at every step. For players who want to improve their experience Pokemon GO, certain objects and features can be purchased through in-app purchases. Players can use their money to buy PokéPièces, virtual currency Pokemon GO. The PokéPièces can be exchanged against charging points, additional items, and other improvements. A test in the real situation is expected in the United States, Japan, Australia and New Zealand for Pokemon GO during the development of the game. The features, available languages, design, and appearance are under development. More information about the expansion of the real situation in other markets will be soon available. When you encounter a Pokemon, you can use the Camera function to place the wild Pokemon in your real environment. You can then capture the moment with the camera of the game is in your bag. Aim and press the button to take a picture. The image will be saved on your phone, ready to share with friends. Pokémon GO is fast becoming a phenomenon rarely seen: a huge success all over the world before its worldwide release. The statistics and the game are moving beyond Twitter, Snapchat, Instagram and Facebook even for daily use. We already knew that Pokémon GO Tinder had quickly surpassed in amount facilities. Now the game more in fact: it exceeds Twitter in daily users and is active on 5.92% of Android devices in the US every day. Pokémon GO would also surpass the record set by Candy Crush in 2013 with over 21 million daily users. First, the release is being viral across the globe. Players in Australia & NewZealand got the chance to enjoy the game first, followed by the United States & Japan. Social media has erupted with posts about people’s ideas and their experiences. This generates excitement in different countries, where people haven’t played the game yet. The game dominated both social media & traditional news coverage which has created an awareness that’s spreading like a wildfire. People didn’t even know they are restless to play this game and envy about other people enjoying it. Finally, Pokemon GO overcomes the stigma of laziness attached to the video games. Even parents can get on board with this Pokemon-go game since it gets their kids outside and active. Brand recognition, hype, and exclusivity which enhance this game’s ability to attract & delight its demanding users. Anyone can use the same statistics from this phenomenon and also it can help you (catch them all) in the next marketing.